Paintless dent repair (PDR) can be one of the best ways to repair your vehicle quickly without having to remove body panels or lose it for several days. Paintless dent removal is a method that preserves the finish on your vehicle while offering the option for mobile repairs. If your vehicle needs hail damage repair or you have experienced a minor accident resulting in dents, you can contact us immediately at Piedmont Dent Repair for mobile services. We can come out to your location and perform dent repairs to maintain the overall value of your vehicle. PDR doesn’t need to go through insurance, and this solution can help you to avoid higher insurance premiums. However, should you decide to go through your insurance company, it’s important to know that our service is widely recognized and accepted by most. Complex repair jobs that would commonly take your vehicle away for several days will often raise your rates. Paintless dent removal can be carried out on-site and usually within just a few hours of being quoted. Pidemont Dent Repair offers industry-leading pricing on fixing hail damage, dents and more. 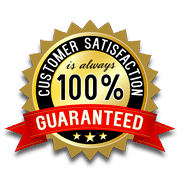 The experts here stand by a 100% satisfaction guarantee. This means that if you are unsatisfied with your repairs after they are completed, you can contact the company for another repair at no additional cost. Only certain types of damage will qualify for our unique service. The idea of this solution is to maintain the original finish of your vehicle by repairing dents without having to remove body panels or repaint. We have industry-leading tools at our mobile dent repair office and are proud to service all of Harrisburg, North Carolina. If you would like a free quote on the cost of your bodywork, contact us today. Piedmont Dent Repair can come out to your location and fix up your hail damage or perform an assessment quickly. We deliver top-notch service at industry-leading prices. Get your vehicle back fast with the solutions we provide in mobile dent and paintless dent removal in Harrisburg, NC. We will produce timely results and come out to your location to get your vehicle back to its original condition. Save on insurance premiums and discover the best with Piedmont Dent Repair.